I had missed it completely the past four years, but on November 25, 2013, Mordicai Knode wrote a post at Tor.com with the above title. «In “Advanced Readings in D&D,” Tor.com writers Tim Callahan and Mordicai Knode take a look at Gary Gygax’s favorite authors and reread one per week, in an effort to explore the origins of Dungeons & Dragons and see which of these sometimes-famous, sometimes-obscure authors are worth rereading today. Sometimes the posts will be conversations, while other times they will be solo reflections, but one thing is guaranteed: Appendix N will be written about, along with dungeons, and maybe dragons, and probably wizards, and sometimes robots, and, if you’re up for it, even more. 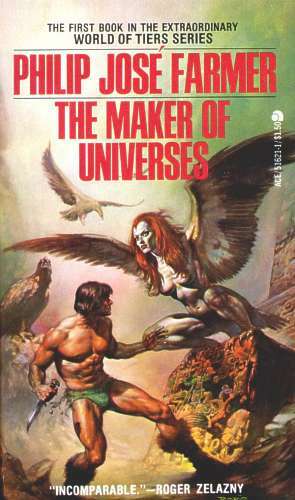 It is quite interesting, the essay leads to the conclusion that The Maker of Universes "is a DM's novel". 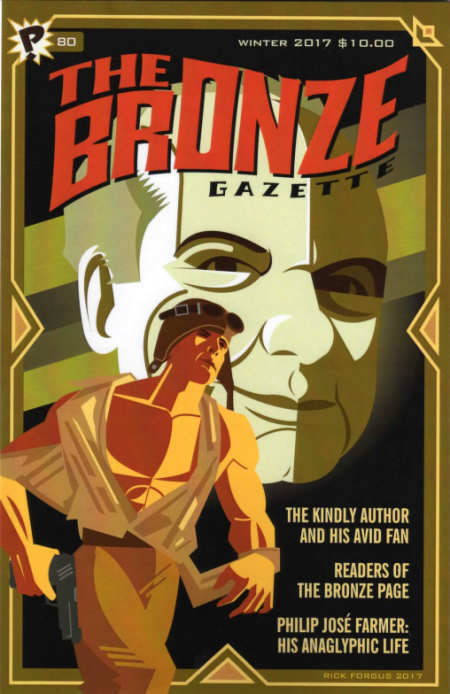 Issue 80, Winter 2017, of the fanzine about Doc Savage, The Bronze Gazette, was published this month. I did not yet receive my copy of it, but under follows the announcement. This issue has a great cover! You can order Issue 80 at the website of The Bronze Gazette. Do not wait too long with your order as older issues soon are sold out.